Neal is a Real Estate Manager for Paramount Development Corporation and is responsible for tenant representation, new development and re-development projects along coastal South Carolina. Neal works out of the Myrtle Beach, South Carolina office. Prior to joining Paramount in early 2017, Neal was Vice President with the brokerage firm Newmark Grubb Wilson Kibler, working in both the Columbia, SC and Myrtle Beach, SC offices. 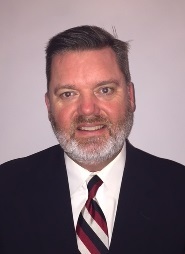 Neal opened the Myrtle Beach office for Wilson Kibler in 2004 and in addition to his own production, Neal had the title of Managing Broker responsible for all office personnel. Neal earned a Bachelor Degree in Political Science from the University of South Carolina in 1994. Neal is a past State Operations Chairman for the International Council of Shopping Centers (ICSC) and a member of the Board of Directors for the SC State Chapter of CCIM. In his spare time, Neal enjoys hunting, fishing and following his South Carolina Gamecocks.